The year keeps getting better with more fantastic news from down under. 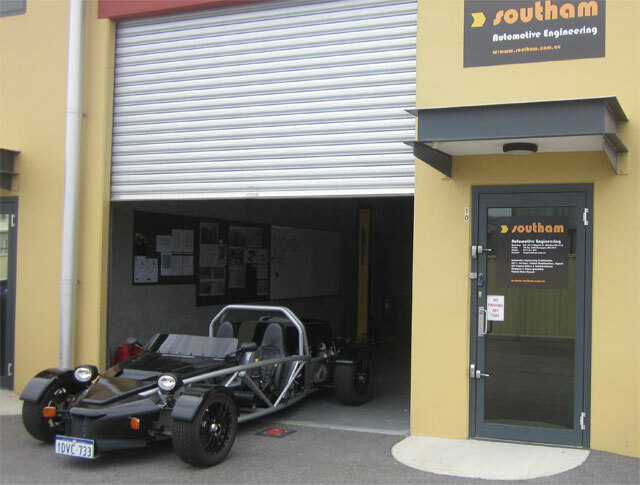 Our Australian dealer, Terry Southam of Southam Automotive Engineering, announces that their MEV Rocket has passed Australia’s extremely tough, specialist vehicle regulations. The MEV Rocket is the first road legal exoskeletal vehicle in the entire continent. After receiving their first Rocket in 2010, over 12 months were spent tweaking the design to comply with Australian regulations. Test jigs were constructed to ensure the Rocket could withstand the super stiff torsional rigidity figure of 4500nm/degree of deflection – something not even the Ariel Atom has attained. Also new for the Australian model is a pedestrian-friendly front nose cone developed in conjunction with the Curtin University of Product Design. Terry’s engineering expertise will undoubtedly bring additional improvements to the Rocket in the coming months and we are excited to see the fruits of his efforts. Find out more about Southam Automotive Engineering (SAE) here.